For the scholarly criticism of Judaism, see Criticism of Judaism. For persecution of Jews, see Antisemitism. Anti-Judaism is the "total or partial opposition to Judaism — and to Jews as adherents of it — by persons who accept a competing system of beliefs and practices and consider certain genuine Judaic beliefs and practices as inferior." Anti-Judaism, as a rejection of a particular way of thinking about God, is distinct from antisemitism, which is more akin to a form of racism. Scholars wishing to blur the line between theology and racism have since coined the term religious antisemitism. Nevertheless, the concept of Judaism has been challenged over the past two thousand years by scholars of both Christendom and Islam; those mere intellectual exercises on the part of theologians ultimately always had real world consequences. In Ancient Rome, religion was an integral part of the civil government (see Religion in ancient Rome). Some Emperors were proclaimed gods on Earth, and demanded to be worshiped accordingly throughout the Roman Empire. This created religious difficulties for monotheistic Jews and worshipers of Mithras, Sabazius and Early Christians. Jews were prohibited by their biblical commandments from worshiping any other god than that of the Torah (see Shema, God in Judaism, Idolatry in Judaism). After the Jewish-Roman wars (66-135), Hadrian changed the name of Iudaea province to Syria Palaestina and Jerusalem to Aelia Capitolina in an attempt to erase the historical ties of the Jewish people to the region. [lower-alpha 2] In addition, after 70, Jews and Jewish Proselytes were only allowed to practice their religion if they paid the Jewish tax, and after 135 were barred from Jerusalem except for the day of Tisha B'Av. The Roman Empire adopted Christianity as its state religion with the Edict of Thessalonica on 27 February 380, see State church of the Roman Empire. 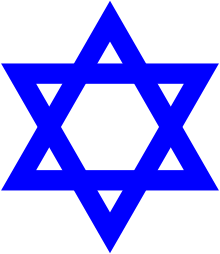 Christianity commenced as a sect within Judaism, so-called Jewish Christianity. It was seen as such by the early Christians, as well as Jews in general. The wider Roman administration most likely would not have understood any distinction. Historians debate whether or not the Roman government distinguished between Christians and Jews before 96 CE, when Christians successfully petitioned Nerva to exempt them from the Jewish tax (the Fiscus Judaicus) on the basis that they were not Jews. From then on, practising Jews paid the tax while Christians did not. Christianity is based on Jewish monotheism, scriptures (generally the Greek Old Testament or Targum translations of the Hebrew Bible), liturgy, and morality. The main distinction of the Early Christian community from its Jewish roots was the belief that Jesus was the long awaited Messiah,[lower-alpha 4] as in the Confession of Peter, but that in itself would not have severed the Jewish connection. Another point of divergence was the questioning by Christians of the continuing applicability of the Law of Moses (the Torah), though the Apostolic Decree of the Apostolic Age of Christianity appears to parallel the Noahide Law of Judaism. The two issues came to be linked in a theological discussion within the Christian community as to whether the coming of the Messiah (First or Second Coming) annulled either some (Supersessionism), or all (Abrogation of Old Covenant laws), of the Judaic laws in what came to be called a New Covenant. The circumcision controversy was probably the second issue (after the issue of Jesus as messiah) during which the theological argument was conducted in terms of anti-Judaism, with those who argued for the view that biblical law continued to be applicable being labelled "Judaizers" or "Pharisees" (e.g. Acts 15:5). [lower-alpha 5] The teachings of Paul (d. ~67 CE), whose letters comprise much of the New Testament demonstrate a "long battle against Judaizing." However, James the Just, who after Jesus's death was widely acknowledged as the leader of the Jerusalem Christians, worshiped at the Second Temple in Jerusalem until his death in 62, thirty years after Jesus' death. The destruction of the Second Temple in 70 CE would lead Christians to "doubt the efficacy of the ancient law", though Ebionism would linger on until the 5th century. However, Marcion of Sinope, who advocated rejecting the entirety of Judaic influence on the Christian faith, would be excommunicated by the Church in Rome in 144 CE. Anti-Judaic works of this period include De Adversus Iudeaos by Tertullian, Octavius by Minucius Felix, De Catholicae Ecclesiae Unitate[lower-alpha 6] by Cyprian of Carthage, and Instructiones Adversus Gentium Deos by Lactantius. The traditional hypothesis holds that the anti-Judaism of these early fathers of the Church "were inherited from the Christian tradition of Biblical exegesis" though a second hypothesis holds that early Christian anti-Judaism was inherited from the pagan world. Taylor has observed that theological Christian anti-Judaism "emerge[d] from the church's efforts to resolve the contradictions inherent in its simultaneous appropriation and rejection of different elements of the Jewish tradition." Modern scholars believe that Judaism may have been a missionary religion in the early centuries of the Christian or common era, converting so-called proselytes, and thus competition for the religious loyalties of gentiles drove anti-Judaism. The debate and dialogue moved from polemic to bitter verbal and written attacks one against the other. To Tarfon (died 135 CE) is attributed a statement about whether scrolls could be left to burn in a fire on the Sabbath. A disputed interpretation identifies these books with the Gospels (see Gilyonim): "The Gospels must be burned for paganism is not as dangerous to the Jewish faith as Jewish Christian sects." The anonymous Letter to Diognetus was the earliest apologetic work in the early Church to address Judaism. Saint Justin Martyr (died 165 CE) wrote the apologetic Dialogue with Trypho, a polemical debate giving the Christian assertions for the Messiahship of Jesus by making use of the Old Testament contrasted with counter-arguments from a fictionalized version of Tarphon. "For centuries defenders of Christ and the enemies of the Jews employed no other method" than these apologetics. Apologetics were difficult as gentile converts could not be expected to understand Hebrew; translations of the Septuagint into Greek prior to Aquila would serve as a flawed basis for such cross-cultural arguments, as demonstrated by Origen's difficulties debating Rabbi Simlai. Though Emperor Hadrian was an "enemy of the synagogue", the reign of Antonius began a period of Roman benevolence toward the Jewish faith. Meanwhile, imperial hostility toward Christianity continued to crystallize; after Decius, the empire was at war with it. An unequal power relationship between Jews and Christians in the context of the Greco-Roman world generated anti-Jewish feelings among the early Christians. Feelings of mutual hatred arose, driven in part by Judaism's legality in the Roman Empire; in Antioch, where the rivalry was most bitter, Jews most likely demanded the execution of Polycarp. When Constantine and Licinius were issuing the Edict of Milan, the influence of Judaism was fading in the Land of Israel (in favor of Christianity) and seeing a rebirth outside the Roman Empire in Babylonia. By the 3rd century the Judaizing heresies were nearly extinct in Christianity. After his defeat of Licinius in 323 CE, Constantine showed Christians marked political preference. He repressed Jewish proselytism and forbade Jews from circumcising their slaves. Jews were barred from Jerusalem except on the anniversary of the Second Temple's destruction (Tisha B'Av) and then only after paying a special tax (probably the Fiscus Judaicus) in silver. He also promulgated a law which condemned to the stake Jews who persecuted their apostates by stoning. Christianity became the state religion of the Roman Empire (see Christendom). "No sooner was [the Church] armed than it forgot its most elementary principles, and directed the secular arm against its enemies." Animosity existed on both sides, and in 351 the Jews of Palestine revolted against Constantine's son in the Jewish revolt against Constantius Gallus. From the middle of the 5th century, apologetics ceased with Cyril of Alexandria. This form of anti-Judaism had proven futile and often served to strengthen Jewish faith. With Christianity ascendant in the Empire, the "Fathers, the bishops, and the priest who had to contend against the Jews treated them very badly. Hosius in Spain; Pope Sylvester I; Eusebius of Caesaria call them 'a perverse, dangerous, and criminal sect.'" While Gregory of Nyssa merely reproaches Jews as infidels, other teachers are more vehement. Saint Augustine labels the Talmudists as falsifiers; Saint Ambrose recycled the earlier anti-Christian trope and accuses Jews of despising Roman law. Saint Jerome claims Jews were possessed by an impure spirit. Saint Cyril of Jerusalem claimed the Jewish Patriarchs, or Nasi, were a low race. All these theological and polemical attacks combined in Saint John Chrysostom's six sermons delivered at Antioch. Chrysostom, an archbishop of Constantinople, (died 407 CE) is very negative in his treatment of Judaism, though much more hyperbolic in expression. While Saint Justin's Dialogue is a philosophical treatise, Saint Chrysostom's homilies Against the Jews are a more informal and rhetorically forceful set of sermons preached in church. Delivered while Chrysostom was still a priest in Antioch, his homilies deliver a scathing critique of Jewish religious and civil life, warning Christians not to have any contact with Judaism or the synagogue and to keep away from the rival religion's festivals. "There are legions of theologians, historians and writers who write about the Jews the same as Chrysostom: Epiphanius, Diodorus of Tarsus, Theodore of Mopsuestia, Theodoret of Cyprus, Cosmas Indicopleustes, Athanasius the Sinaite among the Greeks; Hilarius of Poitiers, Prudentius, Paulus Orosius, Sulpicius Severus, Gennadius, Venantius Fortunatus, Isidore of Seville, among the Latins." From the 4th to 7th centuries, while the bishops opposed Judaism in writing, the Empire enacted a variety of civil laws against Jews, such as forbidding them from holding public office, and an oppressive curial tax. Laws were enacted to harass their free observance of religion; Justinian went so far as to enact a law against Jewish daily prayers. Both Christians and Jews engaged in recorded mob violence in the waning days of the Empire. Through this period Jewish revolts continued. During the Byzantine–Sasanian War of 602–628 many Jews sided against the Byzantine Empire in the Jewish revolt against Heraclius, which successfully assisted the invading Persian Sassanids in conquering all of Roman Egypt and Syria. In reaction to this further anti-Jewish measures were enacted throughout the Byzantine realm and as far away as Merovingian France. Soon thereafter, 634, the Muslim conquests began, during which many Jews initially rose up again against their Byzantine rulers. The pattern wherein Jews were relatively free under pagan rulers until the Christian conversion of the leadership, as seen with Constantine, would be repeated in the lands beyond the now collapsed Roman Empire. Sigismund of Burgundy enacted laws against Jews after coming to the throne after his conversion in 514; likewise after the conversion of Reccared, king of the Visigoths in 589, which would have lasting effect when codified by Reccesuinth in the Visigothic Code of Law. This code inspired Jews to aid Tariq ibn-Ziyad (a Muslim) in his overthrow of Roderick, and under the Moors (also Muslims), Jews regained their usurped religious freedoms. Beginning with the 8th century, legislation against heresies grew more severe. The Church, once confining itself to only the powers of canon law, increasingly appealed to secular powers. Heretics such as the Vaudois, Albigenses, Beghards, Apostolic Brothers, and Luciferians were thus "treated with cruelty" which culminated in the 13th century establishment of the Inquisition by Pope Innocent III. Jews were not ignored by such legislation, either, as they allegedly instigated Christians to judaizations, either directly or unconsciously, by their existence. They sent forth metaphysicians such as Amaury de Béne and David de Dinan; the Pasagians followed Mosaic Law; the Orleans heresy was a Jewish heresy; the Albigens taught Jewish doctrine as superior to Christian; the Dominicans preached against both the Hussites and their Jewish supporters, and thus the imperial army sent to advance on Jan Ziska massacred Jews along the way. In Spain, where Castilian custom (fueros) had granted equal rights to Muslims, Christians, and Jews, Gregory XI instituted the Spanish Inquisition to spy on Jews and Moors wherever "by words or writings they urged the Catholics to embrace their faith". Usury became a proximate cause of much anti-Jewish sentiment during the Middle Ages. In Italy and later Poland and Germany, John of Capistrano stirred up the poor against the usury of the Jews; Bernardinus of Feltre, aided by the practical notion of establishing mont-de-piétés, called for the expulsion of Jews all over Italy and Tyrol and caused the massacre of the Jews at Trent. Kings, nobles, and bishops discouraged this behavior, protecting Jews from the monk Radulphe in Germany and countering the preachings of Bernardinus in Italy. These reactions were from knowing the history of mobs, incited against Jews, continuing attacks against their rich co-religionists. Anti-Judaism was a dynamic in the early Spanish colonies in the Americas, where Europeans used anti-Judaic memes and forms of thinking against Native and African peoples, in effect transferring anti-Judaism onto other peoples. The Church kept to its theological anti-Judaism and, favoring the mighty and rich, was careful not to encourage the passions of the people. But while it sometimes interfered on behalf of the Jews when they were the objects of mob fury, it was at the same time fueled the fury by combating Judaism. Martin Luther has been accused of antisemitism, primarily in relation to his statements about Jews in his book On the Jews and their Lies, which describes the Jews in extremely harsh terms, excoriating them, and providing detailed recommendation for a pogrom against them and their permanent oppression and/or expulsion. According to Paul Johnson, it "may be termed the first work of modern anti-Semitism, and a giant step forward on the road to the Holocaust". In contrast, Roland Bainton, noted church historian and Luther biographer, wrote "One could wish that Luther had died before ever this tract was written. His position was entirely religious and in no respect racial". Peter Martyr Vermigli, a shaper of Reformed Protestantism, took pains to maintain the contradiction, going back to Paul of Tarsus, of Jews being both enemy and friend, writing: "The Jews are not odious to God for the very reason they are Jews; for how could this have happened since they were embellished with so many great gifts...."
"The terms 'anti-Judaism' (the Christian aversion toward the Jewish religion) and 'anti-Semitism' (aversion toward the Jews as a racial group) are omnipresent in the controversies over the churches’ responsibility with regard to the extermination of the Jews" and "since 1945, most of the works on 'anti-Semitism' have contrasted this term with 'anti-Judaism'". According to Jeanne Favret-Saada, the scientificial analysis of the links and difference between both terms is made difficult for two reasons. First is the definition: some scholars argue that "anti-Judaic" refers to Christian theology and to Christian theology only while others argue that the term applies also to the discriminatory policy of the churches (...). Some authors also advance that eighteenth-century catechisms were "antisemitic" and others argue that the term cannot be used before the date of its first appearance in 1879. The second difficulty is the fact these to concepts place themselves in different contexts: the old and religious for the "anti-Judaism"; the new and political for "anti-Semitism". Leon Poliakov, in History of the Antisemism (1991) describes a transition from anti-Judaism to an atheist anti-Semitism going in parallel with the transition from religion to science, as if the former had vanished in the later and therefore differantiating both. In the The Aryan Myth (1995) he nevertheless writes that with the arrival of anti-Semitism, "the ineradicable feelings and resentments of the Christian West were to be expressed thereafter in a new vocabulary". According to Jeanne Fabret, "[if] there were fewer Christians going to church during the age of science, (...) religious representations kept shaping minds. For Gavin Langmuir, anti-Judaism is concerned with exaggerated accusations against Jews which nonetheless contain a particle of truth or evidence, antisemitism reaches beyond unusual general inferences and is concerned with false suppositions. Thus Langmuir considers the labelling of Jews as 'Christ-killers' is anti-Judaic; accusations of well-poisoning, on the other hand, he regards as antisemitic. In his view, anti-Judaism and antisemitism have existed side by side from the 12th century onwards and have strengthened each other ever since. The blood libel is another example of antisemitism, though it is based in distorted notions of Judaism. Anti-Judaism has also been distinguished from antisemitism based upon racial or ethnic grounds (racial antisemitism). "The dividing line [is] the possibility of effective conversion (...). [A] Jew ceases to be a Jew upon baptism." However, with racial antisemitism, "the assimilated Jew [is] still a Jew, even after baptism (...). Anyway, according to William Nichols, "[f]rom the Enlightenment onward, it is no longer possible to draw clear lines of distinction between religious and racial forms of hostility towards Jews (...). Once Jews have been emancipated and secular thinking makes its appearance without leaving behind the old Christian hostility towards Jews, the new term antisemitism becomes almost unavoidable, even before explicitly racist doctrines appear." A prominent place in the Qur'anic polemic against the Jews is given to the conception of the religion of Abraham. The Qur'an presents Muslims as neither Jews nor Christians but followers of Abraham who was in a physical sense the father of the Jews and the Arabs and lived before the revelation of Torah. In order to show that the religion practiced by the Jews is not the pure religion of Abraham, the Qur'an mentions the incident of worshiping of the calf, argues that Jews do not believe in part of the revelation given to them, and that their taking of usury shows their worldliness and disobedience of God. Furthermore, the Quran claim they attribute to God what he has not revealed. In his polemic against Judaism, Ibn Hazm provided a polemical list of what he considered "chronological and geographical inaccuracies and contradictions; theological impossibilities (anthropomorphic expressions, stories of fornication and whoredom, and the attributing of sins to prophets), as well as lack of reliable transmission (tawatur) of the text". Throughout the Islamic Golden Age, the relatively tolerant societies of the various caliphates were still, on occasion, driven to enforce discriminatory laws against members of the Jewish faith. Examples of these and more extreme persecutions occurred under the authority of multiple, radical Muslim Movements such as that of the Fatimid Caliph Al-Hakim bi-Amr Allah in the 11th century, the Almohad Caliphate in the 12th century, and in the 1160s CE Shiite Abd al-Nabi ibn Mahdi who was an Imam of Yemen. Differentiation laws were enforced much more regularly following the decline of secular influence within Islamic society and external threats posed by non-Muslims. ↑ "The reign of Gaius Caligula (37–41) witnessed the first open break between the Jews and the Julio-Claudian empire. Until then – if one accepts Sejanus' heyday and the trouble caused by the census after Archelaus' banishment — there was usually an atmosphere of understanding between the Jews and the empire ... These relations deteriorated seriously during Caligula's reign, and, though after his death the peace was outwardly re-established, considerable bitterness remained on both sides. ... Caligula ordered that a golden statue of himself be set up in the Temple in Jerusalem. ... Only Caligula's death, at the hands of Roman conspirators (41), prevented the outbreak of a Jewish-Roman war that might well have spread to the entire East." ↑ "In an effort to wipe out all memory of the bond between the Jews and the land, Hadrian changed the name of the province from Iudaea to Syria-Palestina, a name that became common in non-Jewish literature." ↑ "...Domitian ordered the execution of Flavius Clemens ... for Judaizing tendencies..."
↑ "In effect, they [Jewish Christians] seemed to regard Christianity as an affirmation of every aspect of contemporary Judaism, with the addition of one extra belief — that Jesus was the Messiah. Unless males were circumcised, they could not be saved (Acts 15:1)." ↑ Langmuir (1971, 383), cited by Abulafia (1998, part II, 77). ↑ Wylen, Stephen M., The Jews in the Time of Jesus: An Introduction, Paulist Press (1995), ISBN 0809136104, Pp 190-192. ↑ Dunn, James D.G., Jews and Christians: The Parting of the Ways, A.D. 70 to 135, Wm. B. Eerdmans Publishing (1999), ISBN 0802844987, Pp 33-34. ↑ Boatwright, Mary Taliaferro & Gargola, Daniel J & Talbert, Richard John Alexander, The Romans: From Village to Empire, Oxford University Press (2004), ISBN 0195118758, p. 426. ↑ Elshtain, Jean Bethke (2004-05-18). "Anti-Semitism or anti-Judaism?". Christian Century. Retrieved 2007-02-01. ↑ Hopkins, Keith. A World Full of Gods. Great Britain: Weidenfeld & Nicolson, 1999. ↑ Dialogue of Justin, Philosopher and Martyr, with Trypho, a Jew. ↑ Abrahamson et al. The Persian conquest of Jerusalem in 614 compared with Islamic conquest of 638. ↑ James, Frank A. (2004). Peter Martyr Vermigli And The European Reformations: Semper Reformanda. Brill Academic Publishers. ISBN 9004139141. 1 2 3 Jeanne Favret-Saada, A fuzzy distinction - Anti-Judaism and anti-Semitism (An excerpt from Le Judaisme et ses Juifs), Journal of Ethnographic Theory, 2014. ↑ Fahlbusch, Erwin; Geoffrey William Bromiley (1999). The Encyclopedia of Christianity. 3, J-O. Grand Rapids, Michigan / Cambridge UK / Leiden / Boston: Wm. B. Eerdmans. p. 57. ISBN 0802824153. 1 2 Abulafia (1998, part II, 77), referring to Langmuir (1971). ↑ Abulafia (1998, part II, 77), citing Langmuir (1971, 383–389). Abulafia, Anna Sapir (ed.)(1998). Christians and Jews in Dispute: Disputational Literature and the Rise of Anti-Judaism in the West (c. 1000-1150) (Variorum Collected Studies Series). Aldershot, Hampshire: Ashgate. ISBN 0-86078-661-7. Ben-Sasson, H. H. (1976). A History of the Jewish People. Harvard University Press. ISBN 0674397312. Langmuir, Gavin (1971). "Anti-Judaism as the necessary preparation for anti-Semitism". Viator, 2: p. 383. Lazare, Bernard (1903). Antisemitism: Its History and Causes. New York: International Library. Taylor, Miriam S. (1995). Anti-Judaism and Early Christian Identity: A Critique of the Scholarly Consensus. Leiden, New York, Köln: Brill Academic Publishers. ISBN 9004021353.